This shopfront sign in Bay View Terrace is a beauty. It is on the Westpac Bank and is a great innovation. It describes the local business history of the people. What do you get when you are given history or ‘heritage’? Distinctiveness: things that are unique to your place are the stories. They cannot be replicated elsewhere and this makes your place more interesting and competitive. Entertainment: discovering local, distinct stories is fun. Placing them among the business district is a relieving contrast to the day’s shopping or daily errands. Business-stories are fascinating to people too – everyone has their own story of the ‘shops in the olden days’ – even if that was 2001! Comfort – a sense that people care enough to recall and display local stories reminds us that this place is all about community – the economy is just a sweet by-product of that. 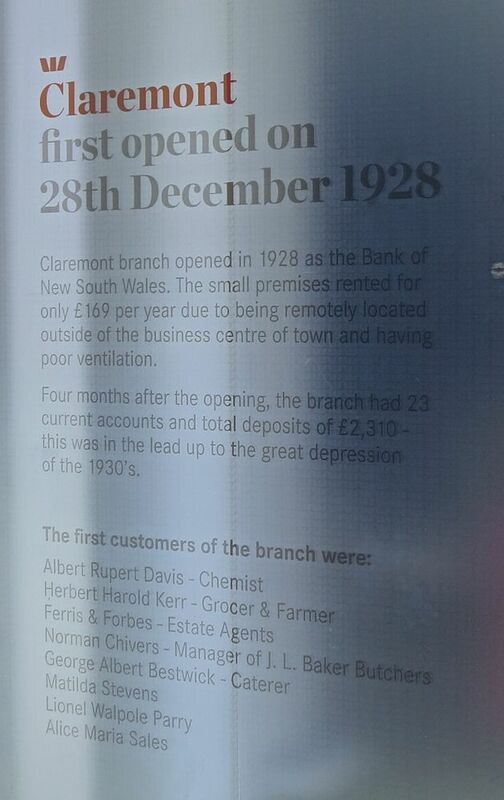 Above: Shopfront detail on the Westpac Bank, 27 Bay View Terrace in Claremont, Australia.